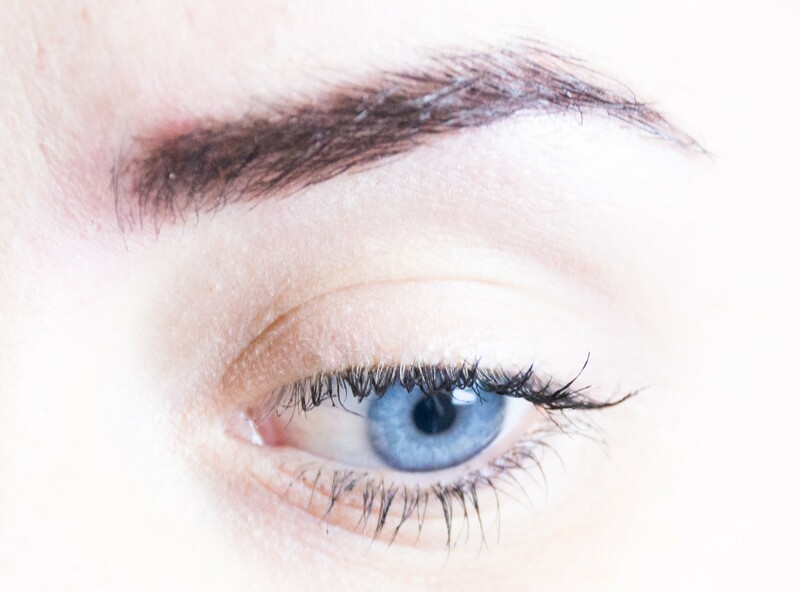 Makeup Revolution Ultra Brow is the first of the Makeup Revolution products I have tried, after realising I had to give this brand a go with it receiving such glowing beauty blogger reviews for a budget cosmetics brand. 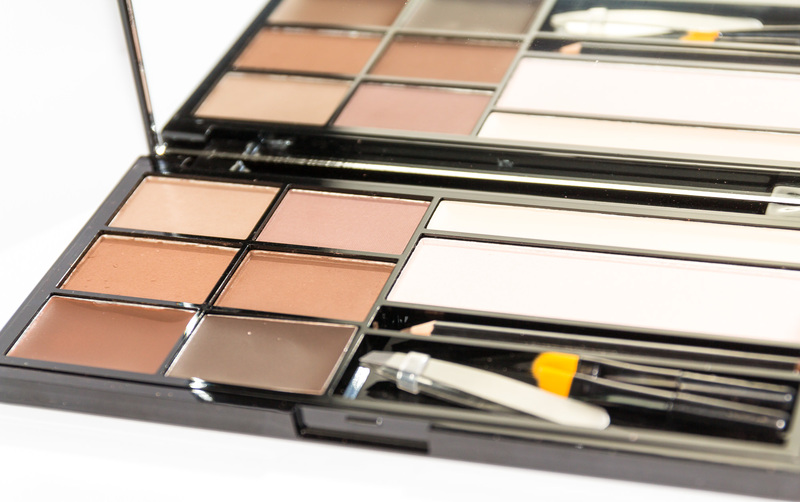 This spectacular kit is only £7.99, and was on an offer when I picked it up so I have a few of their palettes to try. 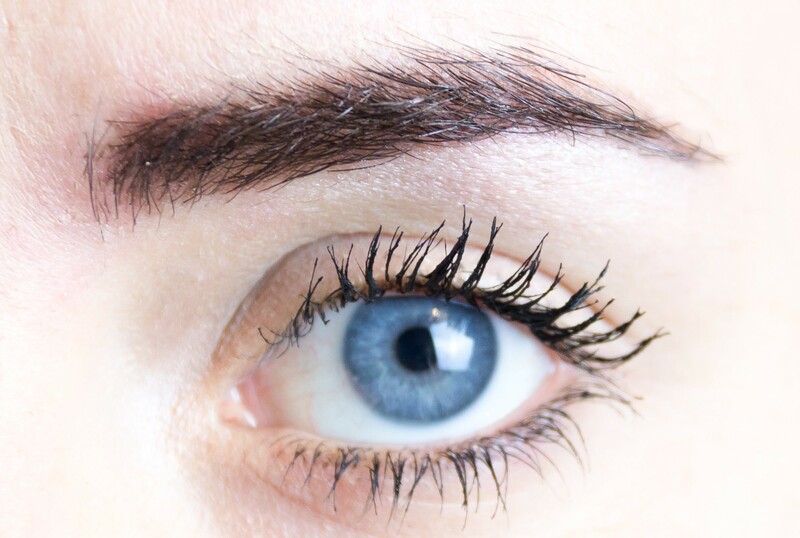 In the Makeup Revolution Ultra Brow you will find 4 blend-able eyebrow powder shades, 2 tinted brow waxes as well as enhancing cream, a highlighter, brown brow pencil, travel sized brushes and travel-sized tweezers. 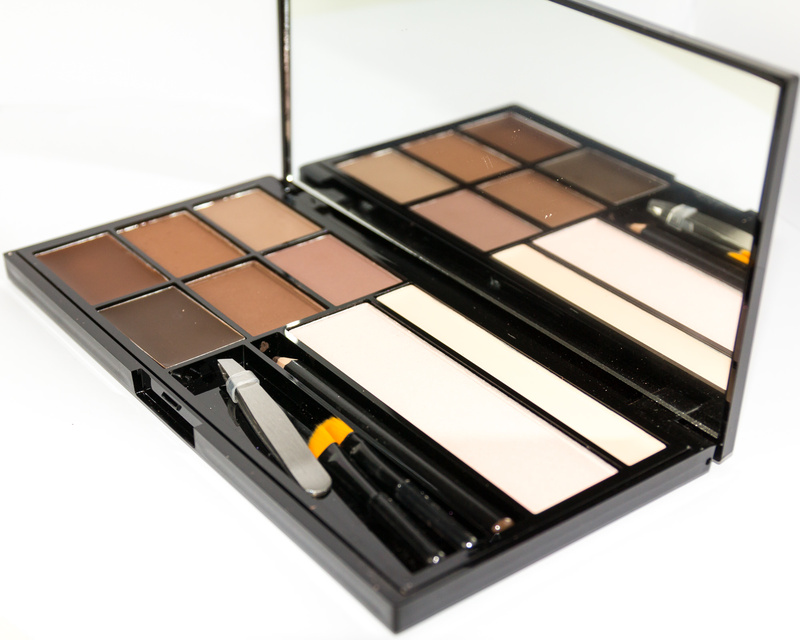 The palette is packaged in gorgeous, high-quality, black gloss with rose gold writing. 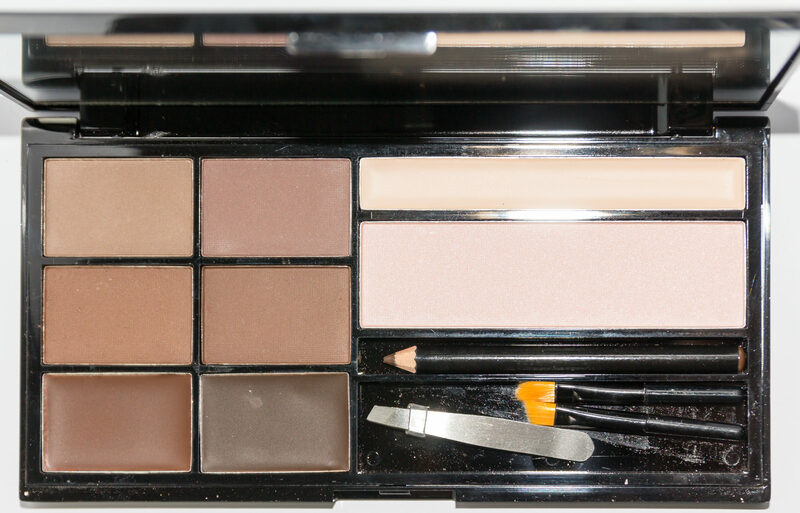 It feels very high end compared with the usual cardboard or thin, flimsy plastic you normally find drug store palettes housed in. 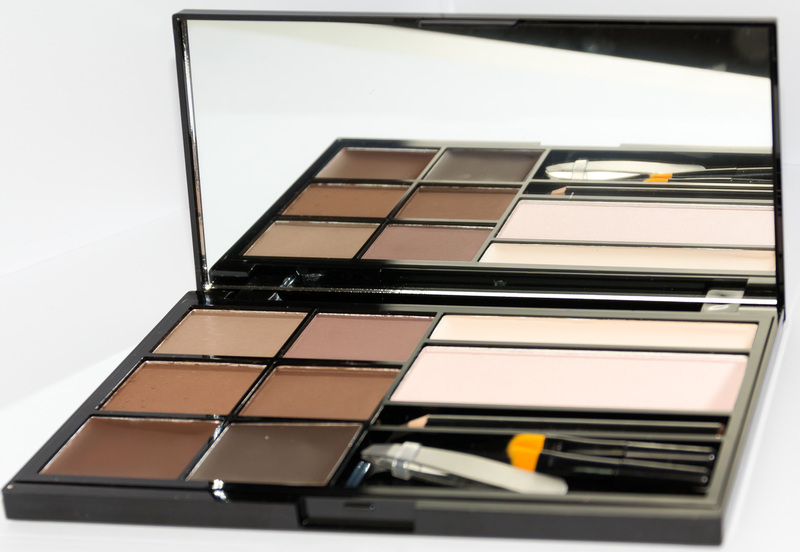 The palette is very sleek and also has a decent sized mirror running the length of it. There are three shades available for their range of brow palettes, fair to medium, medium to dark and extra dark to black. I picked up the medium to dark and think it suits my brows perfectly. 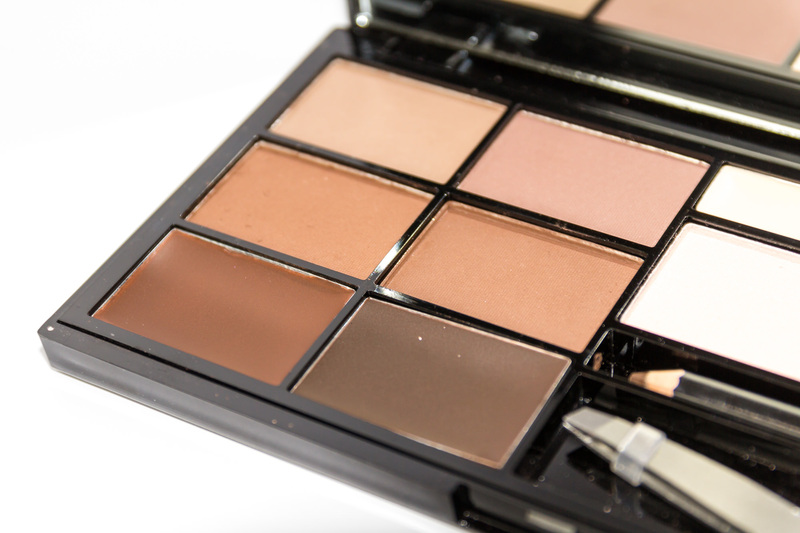 The palette shades do not smudge, and apply very easily to fill and define your brows. 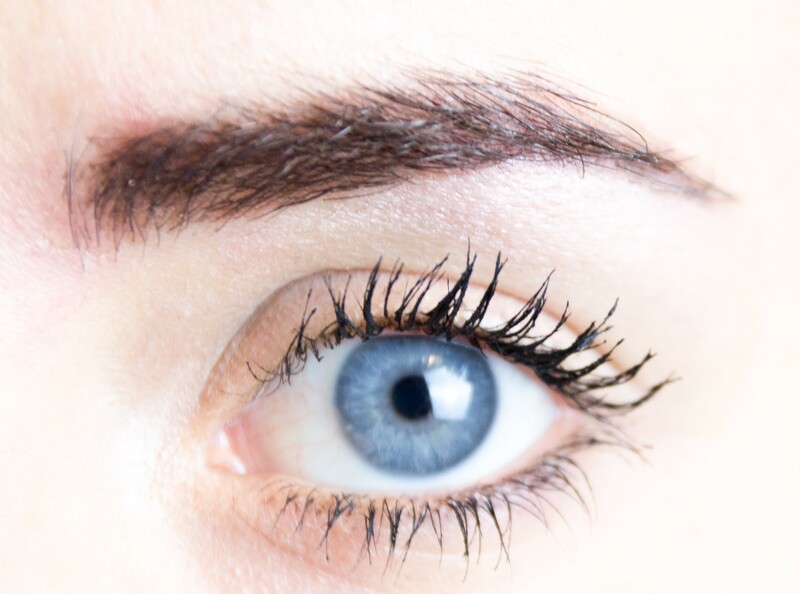 The two provided brushes are great for applying the shadow although I would like a little spooly brush to brush out my brows and apply a little way through them at the end. The shadows are very pigmented and I found it to be very long wearing, there was no fade or smudging throughout the day. As you can see the palette provides quite a wide range of different shades, but they are mostly on the warm side as many high street brands tend to be unfortunately. 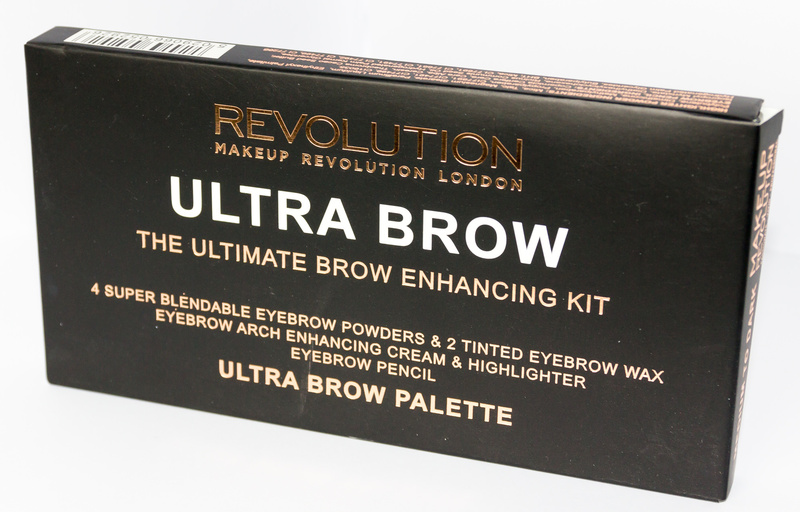 If you fancy giving the Makeup Revolution Ultra Brow palette a go you can pick it up at Superdrug, Ulta and Amazon.